GCET Admit Card 2019 can be obtained after the submission of application form in person from 25th March 2019. GCET is a Common Entrance Test of Goa state. 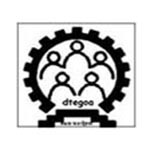 It is organized by the Directorate of Technical Education (DTE), Goa every year. GCET is a state level exam for admission to the Architecture, Engineering and other UG courses. Candidates can get admission in various professional courses on the basis of this entrance examination. For admission in B.Arch and MBBS/BDS courses, candidates have to appear in NATA and NEET national level exams. Candidates can get all the information regarding GCET 2019 admit card from this article. Candidates can get the GCET 2019 Admit Card after the submission of application form via offline mode. Candidates those successfully filled the application form can get their admit card through offline mode. GCET Admit card 2019 is available at the time of submission of application form. Candidates can get the admit card from admission committee in person. The admission committee provides the Photo Admit card to the candidates. It is necessary to carry the admit card for appearing in the test. It is advised to the candidates to check the details of the exam mentioned on the admit card. Those who have not submitted the application form on time will not be eligible to get their admit card. Admit Card is not available to download through online mode. Candidates can get their admit card from the designated exam centres. Candidates have to submit the filled-in application form in order to get their admit card. However, candidates those filled the application forms with late fee can get their admit card till 26th April 2019. The admission committee does not send admit card to any candidate individually by post. Without photo admit card no candidate will be permitted to sit in the examination hall. The written exam of GCET will be conducted in 7th & 8th May 2019. GCET 2019 result will be published on 15th May 2019. The submission of application form and getting admit card has been started from 25th March 2019. Candidates can check the details given below to get their GCET 2019 admit card. Go to the prescribed designated centre of DTE, Goa. Submit your filled-in application form to the authority. Get your ‘Photo Admit Card’ from the authority. Check details printed on it carefully. In case of any discrepancy immediately contact the authority. Keep safe two-three photocopies of admit card till the admission process. Candidates are advised that forms will be accepted on all prescribed dates during the working period. Candidates must check the details printed on admit card is correct or not. Check the entries such as the candidate’s name, exam centre, exam time & date, father’s name roll number and etc. Candidates are also advised to check the instructions given on the back side of admit card. Follow all the instruction given for the day of exam. If you have any query related to GCET Admit Card 2019, you can ask by writing your queries in the given below comment box. I have sent Application Form for GCET in r/o my son Kaushal Sanjay Kulkarni. Since we are living at Nashik (MH), we are unable to collect the Admit card from DTE Goa in person. However, we will collect it on the day of Exam or one day before the Exam. Kindly, confirm the receipt of Application form & allow us to collect it afterwards.